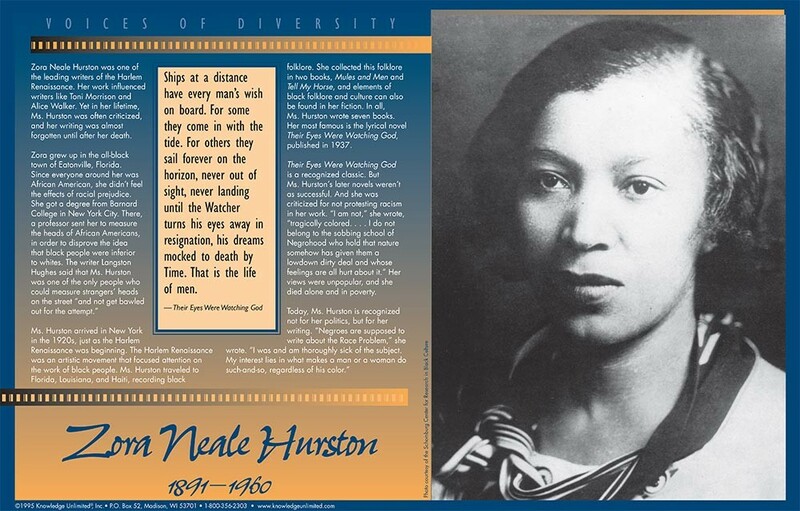 This educational poster of writer Zora Neale Hurston features a striking photo of the writer, along with biographical text of her life and work, and an excerpt from her classic work "Their Eyes Were Watching God." 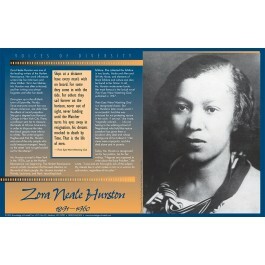 Zora Neale Hurston was one of the leading writers of the Harlem Renaissance. She wrote seven books, but her most famous,"Their Eyes Were Watching God," is recognized as one of the great works of 20th century American literature..